Habitat: Riparian. This plant almost always grows in wetlands (~ 99% of the time) here. Description: The flower heads are yellow, cone-shaped, and surrounded by 4 to 8, unequal, 3/4-inch (2 cm) long, petal-like bracts. 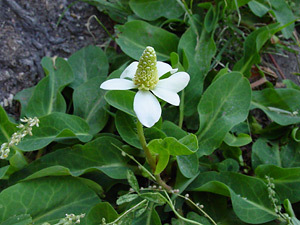 The leaves are green, thick and leathery, oblong in shape, and mainly basal. This plant forms large colonies. 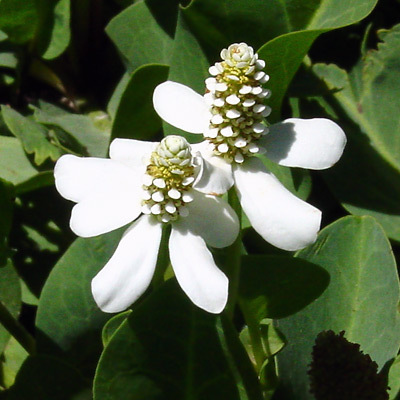 Culturally Significant Plant – Native Americans used the roots for medicinal purposes. Edible – The seeds are edible if ground into meal.